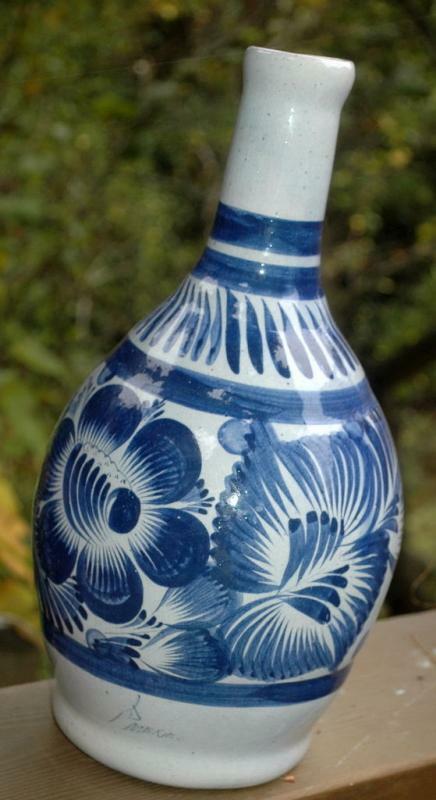 Lovely hand made and painted Talavera water bottle or vase from Mexico. It is signed on the side and it is 13" tall. 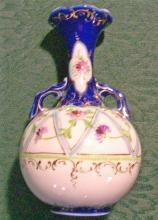 This shape is usually made for water bottles however it makes a lovely vase as well. 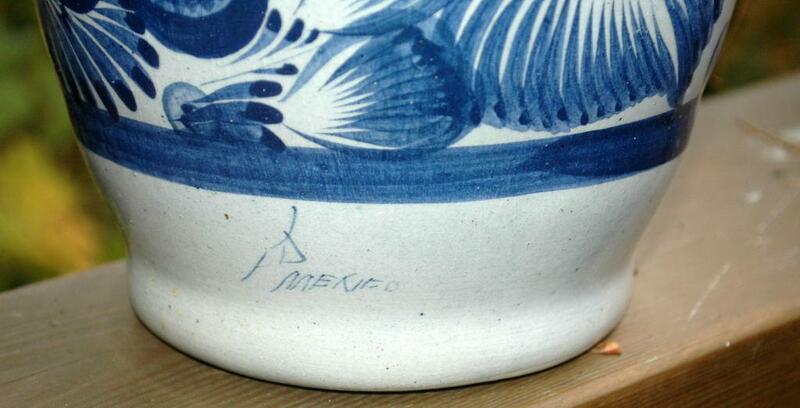 It is deep cobalt blue design on a grayish pottery glazed vessel. 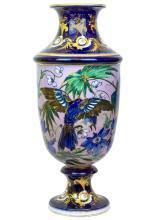 Items Similar To "Signed Talavera Bottle Vase Hand Painted with Cobalt Blue"